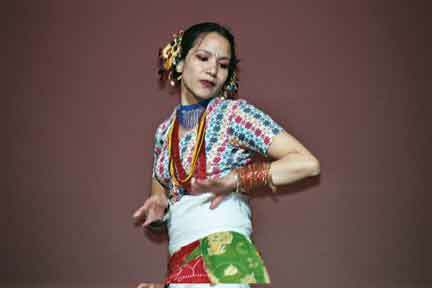 Anjana Luitel performs a traditional Nepalese folk dance at Blair's International Show 2006. This past March, International Club sponsored Blair’s annual International Show, one of the unique shows at Blair. Not only has it brought people together helped them learn about each other’s cultures, but it also showed how talented students could be if they want to do something that represents their country. Ms. Bohorquez, a Modern World History teacher at Blair, is the sponsor of this show and she has been doing it for eight years. She has a great passion for it and always encourages students to participate. “I love it, that’s why I do it. 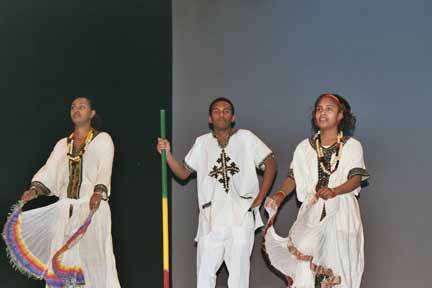 The show gives an opportunity to share our rich cultures with the school because people don’t know about it,” she said. There was something different in this year’s show that took everyone’s attention away and drew them into an unexpected and beautiful spectacle. The fashion show was not only new, but it was also unique because it showed the beauty of clothes from different countries all together. 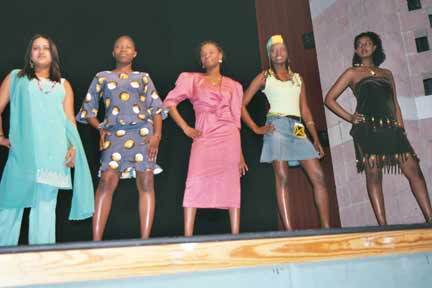 “The fashion show was the bomb. I love the clothes and I was amazed by the way the colors attracted each other. It was almost like a rainbow,” Georgette, a sophomore at Blair said. Although the fashion was very attractive, students were still impressed by the rest of the performances. Senior Isely Medina said, “I loved the African dance and the Indian Club [dance],” she said. She also liked how organized the show was. By going to the show, some students saw their friends performing on stage. The others who did not know any performers had the opportunity to meet students with whom they shared the same culture. “I saw my friend Miguel Peña from the Dominican Republic singing and it was so cool,” Isely said. According to Nelly Follot, a senior at Blair, it is a good way of making friends and being aware of your neighbor’s originality. 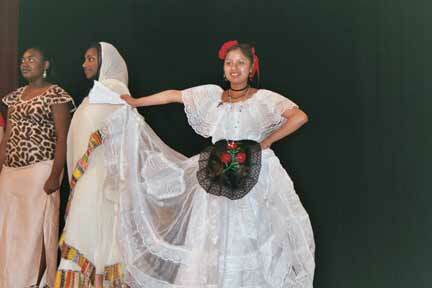 “I made lots of friends and I learned a lot about the dance, music, and dress from other countries,” she said. Mezare, a junior at Blair, agreed and was also encouraged to join a club himself. “It’s entertaining, fun and educational. I’m planning on joining the Spanish club now!” she said. Even though this year’s show was shorter than usual because some clubs dropped out, students seemed to love it just the way it was and wouldn’t want to change anything about it except they want to see more and more cultures performing. “The show is perfect; I hope that all clubs participate next time because they make great performances. Thanks to the International Club!” Nelly said. This year’s show was very enthusiastic. Everything worked just fine which made the viewers and the sponsor happy. “I felt very proud because it was a great collaboration between students and teachers,” Ms. Borhorquez said. “This year’s show rocked and we can’t wait for next year! !” Georgette and Mezare added.